Police in one northern New Jersey town are warning of fake panhandlers being dropped off from out of town to beg. Roseanne Colletti reports. She said she was poor and needed money for diapers for her baby -- but she was carrying a $500 purse with an iPhone X and jewelry inside. Now police in Union Township, New Jersey, are warning motorists to be wary of other out-of-town roadside scammers. 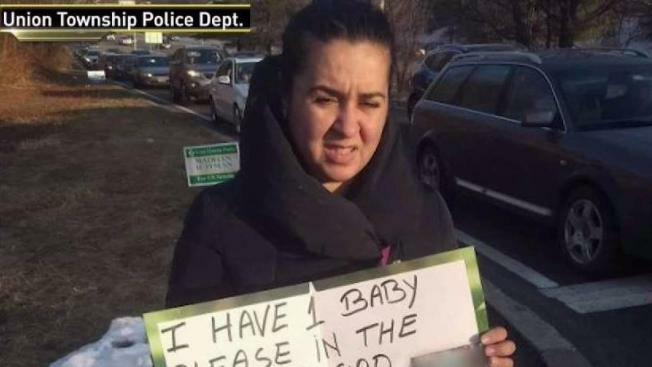 Union police posted a picture of the woman on their Facebook page Monday, saying she was seen walking in and out of traffic at the exit to Route 78, carrying a sign with a picture of a baby and asking for money. After officers stopped her, the woman claimed to be Romanian, living in Queens and desperate. At that point they confronted her over the thousands of dollars in merchandise she was carrying. "Their investigation led her to admit that she and several other women got dropped off to panhandle throughout NJ," the Facebook post read. The woman received a ticket for impeding traffic and a summons for soliciting without a permit, police added.